I wanted to share my fall skincare routine for dry skin with you. As a reminder, I’m 40 years old, I have dry, sensitive skin with rosacea, some serborrheic dermatitis, and occasional acne from rosacea. My skin has been normal-to-dry in the summer and seems to be more on the normal side of dry (meaning dry but not too dry) this year. In the past I’ve been extremely dry. These are the skincare products I’ve been using regularly. 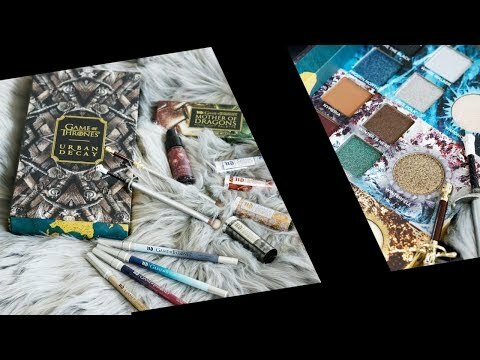 Don’t forget to enter my Fall Giveaway, open worldwide, ends 11:59 pm EST on Oct. 8, 2018. I only use two different skincare tools right now. 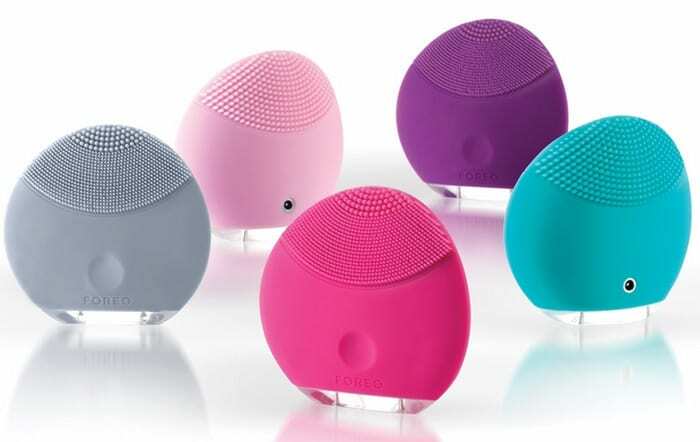 I’ve stopped using a sonic facial brush but the one I’ve kept in my collection is the Foreo Luna because it’s perfect for sensitive skin. Also, I still break this baby out when I get sinus pressure headaches and use the massage feature. I just started testing out the Trophy Skin RejuvaliteMD Anti-Aging LED Treatment. 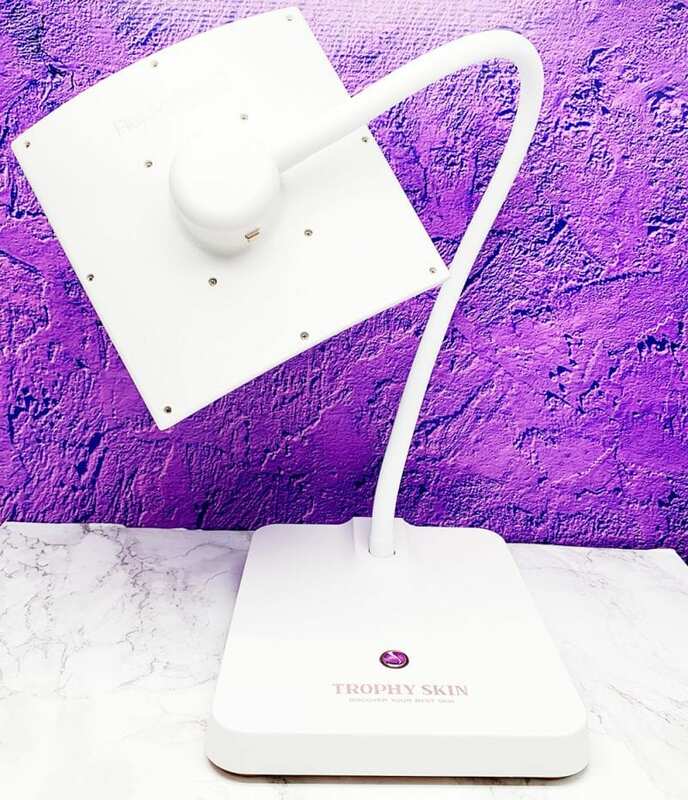 This is an FDA approved device that is supposed to reduce the appearance of sun damage, fine lines, and age spots. It claims to safely and effectively stimulate skin healing and collagen production—reducing the appearance of wrinkles and dark spots while improving radiance, elasticity, and firmness. I’m testing it out for at least 30 days before writing a review. I bought the Dermaflash 2.0 device lightning-fast when I was at the Danessa Myricks Workshop at the Makeup Show Orlando. It’s the tool Danessa recommends and uses on clients to get rid of peach fuzz / facial hair and exfoliate. It also makes your skincare products penetrate deeper and more effective, as well as making your makeup apply nicer. Seriously, I’ve never hit buy on an item so fast! I was in the class, I watched her use it on her model, and then immediately ordered it via Amazon on my phone. I start with the L’Bri Gentle Cleanser, which is aloe-based. It’s an awesome hydrating cleanser that’s perfect for normal to dry skin. The creamy consistency leaves you feeling clean, not tight. The only cleanser I’ve found that I like better is the Ren Evercalm Gentle Cleansing Milk, which is about twice the price of the L’Bri. I have been in love with the Pixi Rose Caviar Essence for months! It’s hydrating, brightening and softening. It honestly reminds me a lot of the Clinique Dramatically Different Hydrating Jelly (not cruelty free), which I was gifted by a family member recently so I tested the clinique vs. the pixi on half of my face. The Pixi was the clear winner for me. 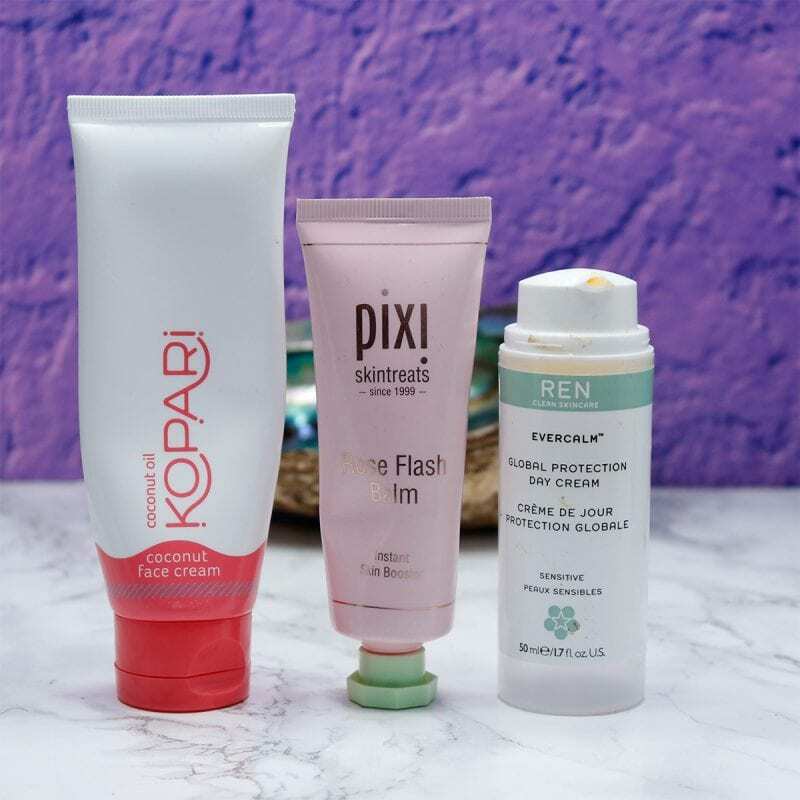 I use one of three things on my face – either Ren Evercalm Day Cream, Pixi’s Rose Flash Balm or Kopari Coconut Face Cream. 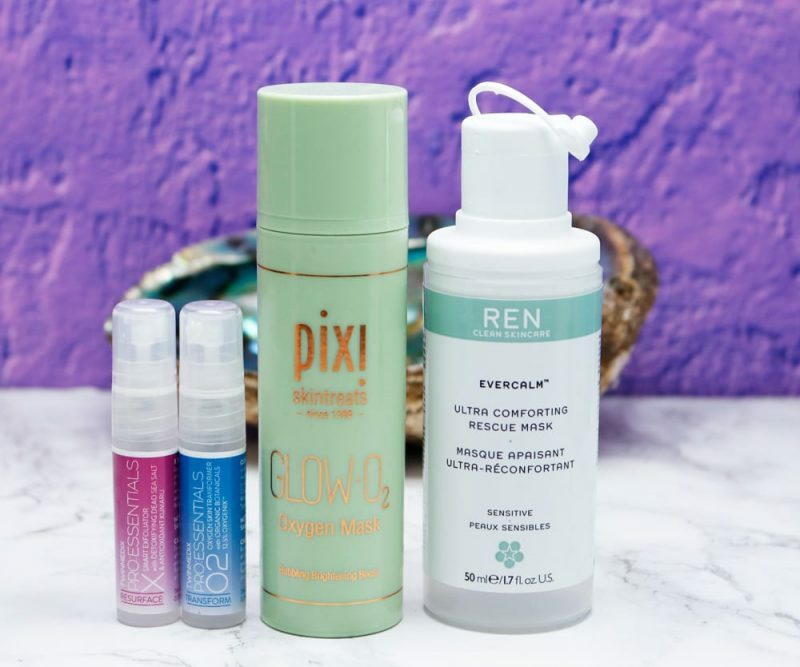 The Ren Evercalm Day Cream is so soothing and hydrating. I adore the Pixi Rose Flash Balm. It’s hydrating and smoothing, making it perfect to use before makeup or SPF. Kopari’s Coconut Face Cream is awesome for hydrating no matter your skin type – oily, normal or dry. The Kopari Face Cream is my favorite between the 3 of them. I’ve been using the L’Bri Smooth n’ Firm Eye Repair Gel for my eyes. It’s supposed to reduce dark circles and wrinkles, improve circulation, hydrate and strengthen the skin. I like it better than any other eye cream I’ve tried in the past year but it doesn’t wow me. I haven’t found an eye cream that’s amazing for me. You know I’m a big believer in SPF and I use a lot! I use 3 to 4 daily. Yes, daily, you read that right. The sun is brutal in Florida and the number one thing you can do for your skin for anti-aging is wear broad spectrum SPF daily. I put SPF anywhere that might get exposed to UVA/UVB rays. Kate Somerville Daily Deflector SPF 50 is my holy grail hydrating SPF and I’m so afraid it’s going to be discontinued! My skin loves it because it’s super hydrating, it has anti-aging benefits and it has broad-spectrum UVA UVB protection. I often mix my Kate Somerville SPF 50 with my Emme Diane SPF 58 Illuminating Sunscreen. The Emme Diane is not hydrating enough for my dry skin right now, so I love to mix it with the Kate Somerville. The nice thing about the Emme Diane is if I’m having a good skin day, I can get away with only wearing the Emme Diane. I LOVE the Coola SPF 50 Guava Mango Spray! This is the BEST body SPF I’ve ever found and I will not run out, I’ve bought 2 backups! It absorbs quickly, has no color, and doesn’t irritate my sensitive skin. Coola Peppermint Vanilla Lip Balm SPF 30 is so good. I wish this had existed when I was a kid. It’s hydrating and smoothing, making it the perfect way to prep your lips before lipstick. 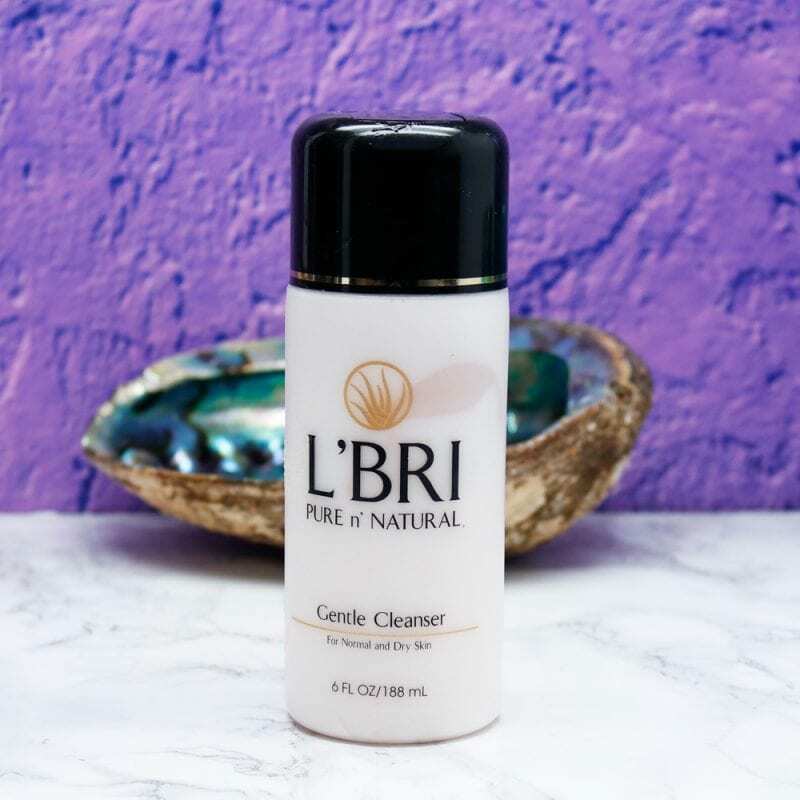 I go back to the L’Bri Gentle Cleanser, which is great for removing all traces of makeup from my face. 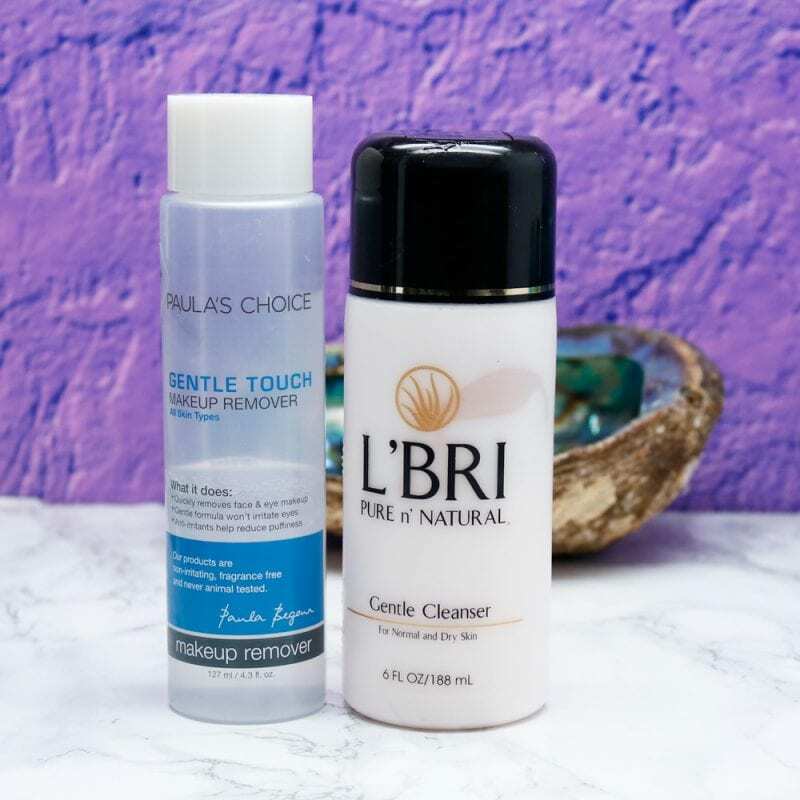 I prefer the Paula’s Choice Gentle Touch Makeup Remover to take off my eye makeup. 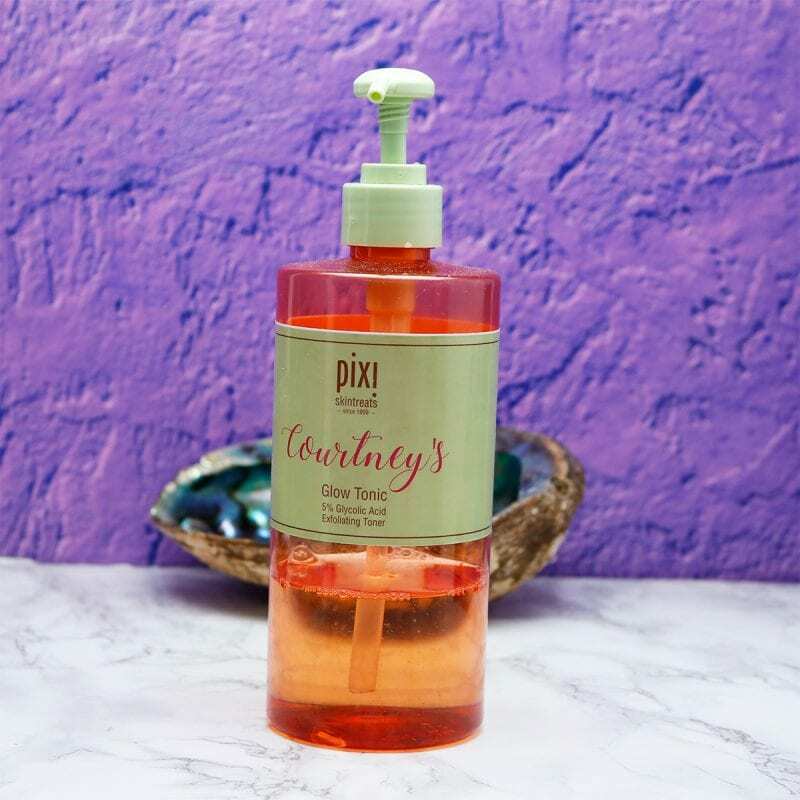 I use either the Pixi Rose Caviar Essence or the Pixi Overnight Glow Serum Concentrated Exfoliating Gel. 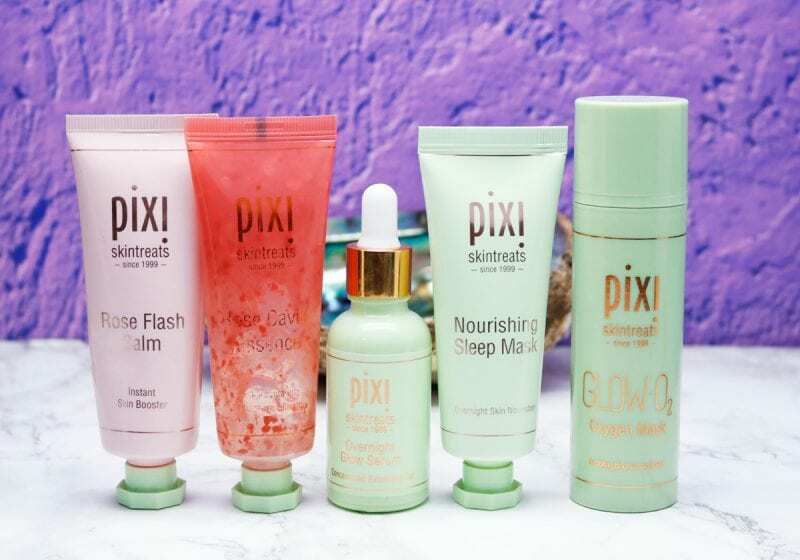 I just picked up the Pixi Overnight Glow Serum Concentrated Exfoliating Gel to add into my nighttime skincare routine for dry skin. It’s made with 10% glycolic acid & arginine to help reduce the appearance of fine lines and fade sun spots over time. If I want to use both, I would use the exfoliating gel first, wait 10 minutes, then use the rose caviar. I typically only use one or the other. I just recently bought the Pixi Nourishing Sleep Mask to test out. It’s supposed to be hydrating, brightening, and filled with anti-aging benefits. Normally I use my Bee Friendly Face & Eye Cream, which has propolis, olive oil, raw honey, and vitamin E. My skin drinks it up! I’ve been using the L’Bri Smooth n’ Firm Eye Repair Gel for my eyes. Every 3 days I’m using the RetAsphere 2-in-1 Retinol Night Cream to help with anti-aging, brightening the skin, fine lines and wrinkles. My skin is sensitive so I have to be really careful with retinol and exfoliation. 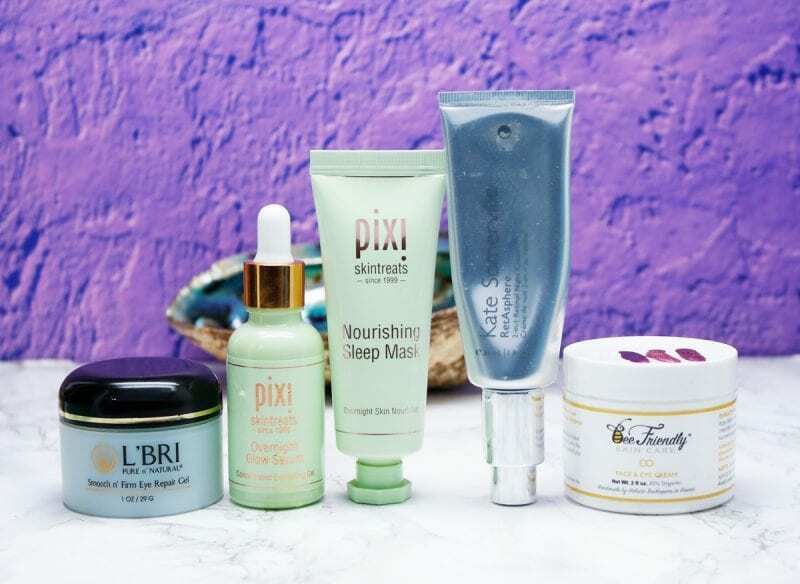 If I use this Night Cream I do not use the Pixi Overnight Glow Serum Exfoliating Gel. For my lips I rotate between 3 different things – Jouer Essential Lip Enhancer Balm ($16 for .33 oz), Bite Beauty Agave Lip Mask ($26 for .52 oz), and IT Cosmetics Je Ne Sais Quoi Hydrating Lip Treatment Serum ($24 for .057 oz). I’m trying to decide which I like best between the Jouer and Bite. The It Cosmetics is clearly in 3rd place and I won’t buy again but I will finish it up. 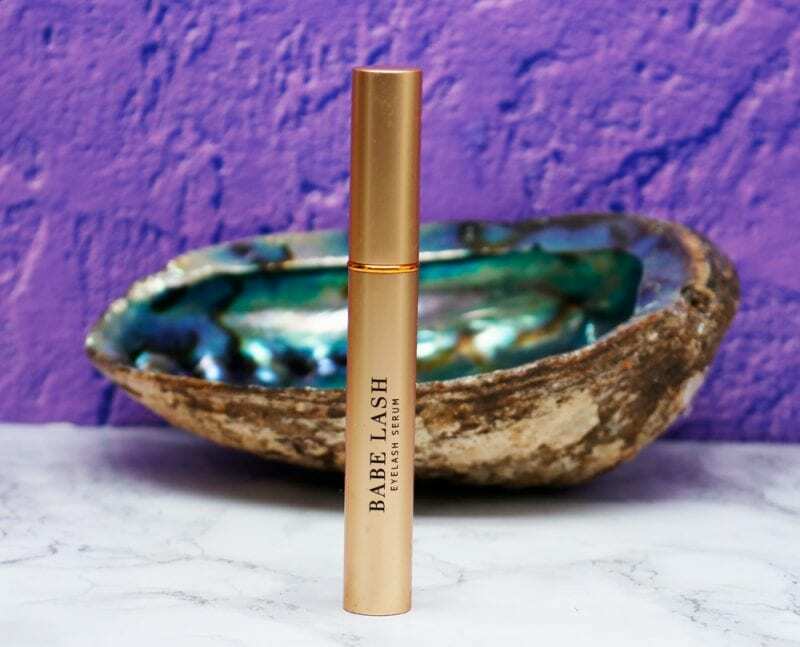 I’ve been struggling to remember to use a lash serum every night, but this is the newest one in my collection, Babe Lash Eyelash Serum. It’s supposed to strengthen, condition and enhance your lashes. When I can remember to apply it, I think it does hydrate / condition my lashes. I think the most important thing is to use something to condition your lashes, as this will help them to grow longer, stronger, and healthier. I’ve been trying to mask more often, especially before events or any time before I want to do makeup. I’m rotating through several different masks. The Pixi Glow O2 Mask is really amazing for my dry skin! It has oxygen complex, caffeine, antioxidants, ginseng and lactic acid. I just picked up the TwinMedix Pro Essentials X smart exfoliator gel to use before the TwinMedix Pro Essentials Oxygen Facial Mask. It’s supposed to be a winning combo for cleaning out your pores to make them appear as small as possible, then hydrating and waking up your complexion with the Oxygen mask. I’m so into the Bliss Mighty Marshmallow Mask! It hydrates and helps to give a lit from within skin glow. It’s very hydrating for my dry skin. The Shea Moisture Purifying and Hydrating In-Shower Mask is so awesome! it’s good at removing impurities from the skin and then deeply hydrating. You put it on after you cleanse and leave it on for about 5 minutes, then rinse it off. This has been the easiest one to use daily because I cleanse my face, then put this on, then do the rest of my shower stuff, then rinse it off. Glossier Mega Greens Galaxy Pack is great for drawing out impurities and cleaning your skin. Then you hydrate the heck out of your face with the Glossier Moisturizing Moon Mask. Ren Evercalm Ultra Comforting Rescue Mask is so very soothing. It immediately takes down redness for me. I created two awesome pinnable images for you with my fall skincare routine for dry skin for day and night. This makes it super easy to use. Don’t forget to check out the other Makeup Wars Bloggers Features for other skincare favorites! 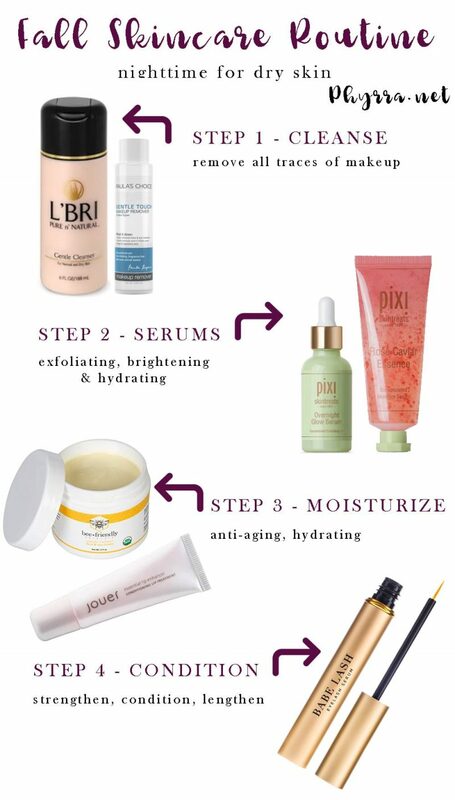 You may find my how to create a skincare routine helpful! Previous articleDrugstore vs prestige cosmetics – which is better? 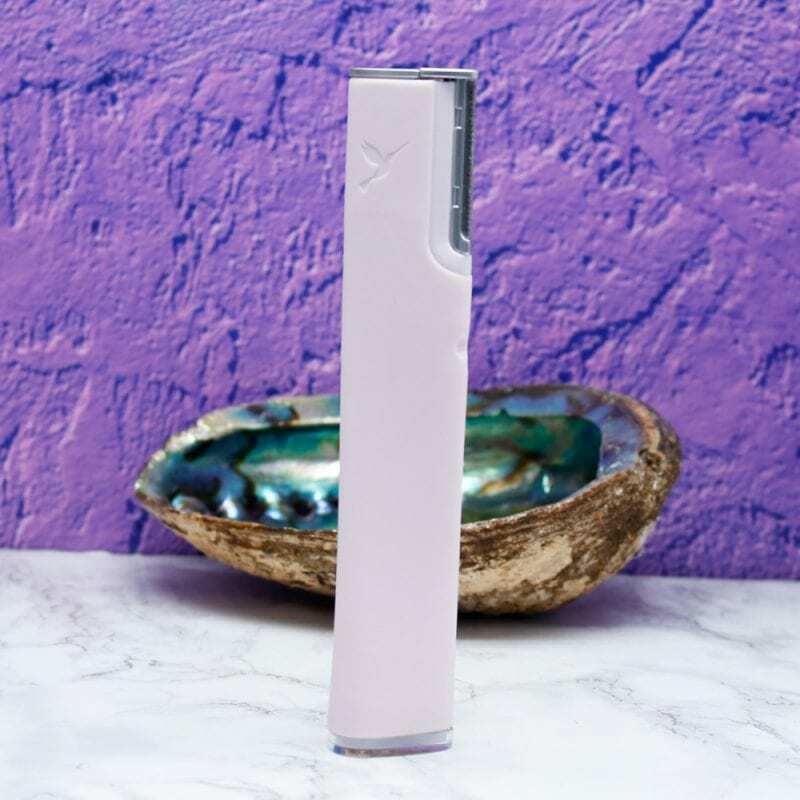 I ordered the Dermaflash after reading you recommendation. It arrived today and I’m so excited to use it! So many products! I couldn’t keep my eyes on just one…except for the Trophy Skin LED lamp. Would SO love that one! 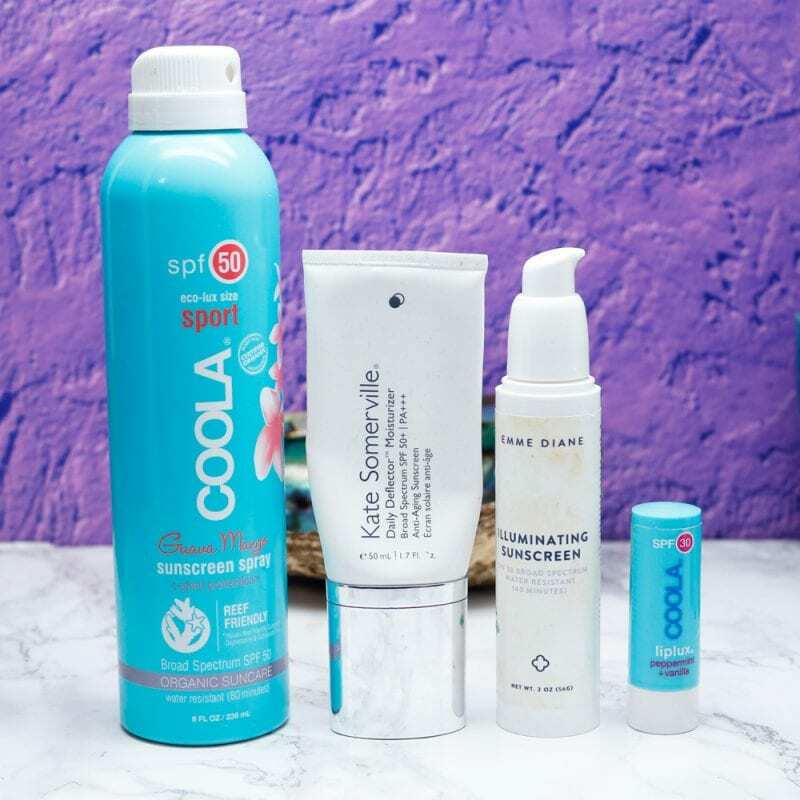 So many awesome products out there to keep our skin hydrated! 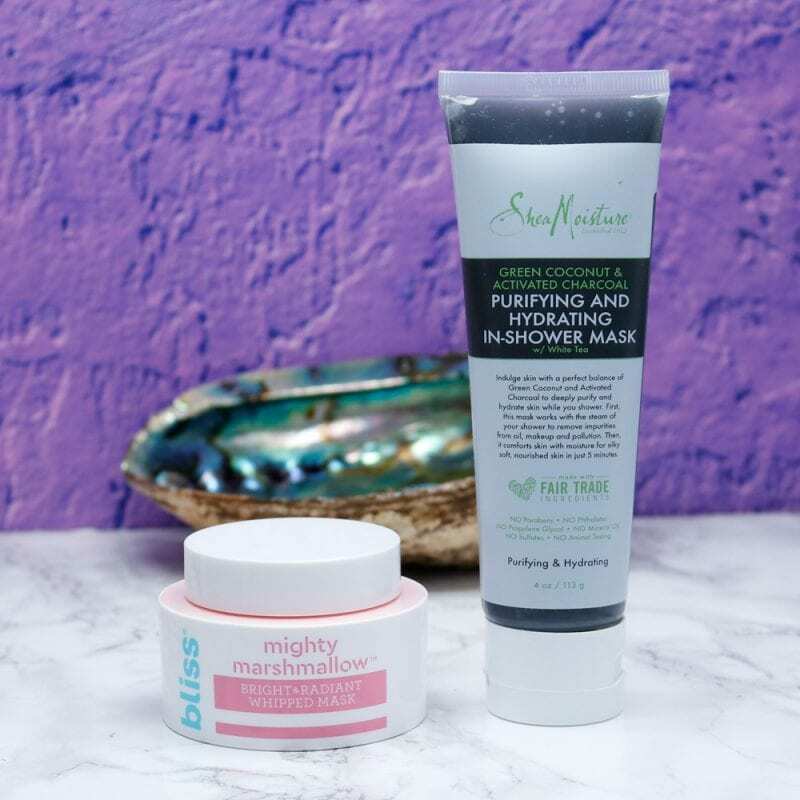 The Bliss Mighty Marshmallow Mask sounds amazing. This is so thorough. I’m impressed with all the items you use. Pixi comes out a winner in this post. I lost the cord to my Luna so I need to get a new one. It disappeared when I moved. Great article. The Ren Ever Calm mask and moisturizer are amazing and I am still deeply in love with my LUNA. 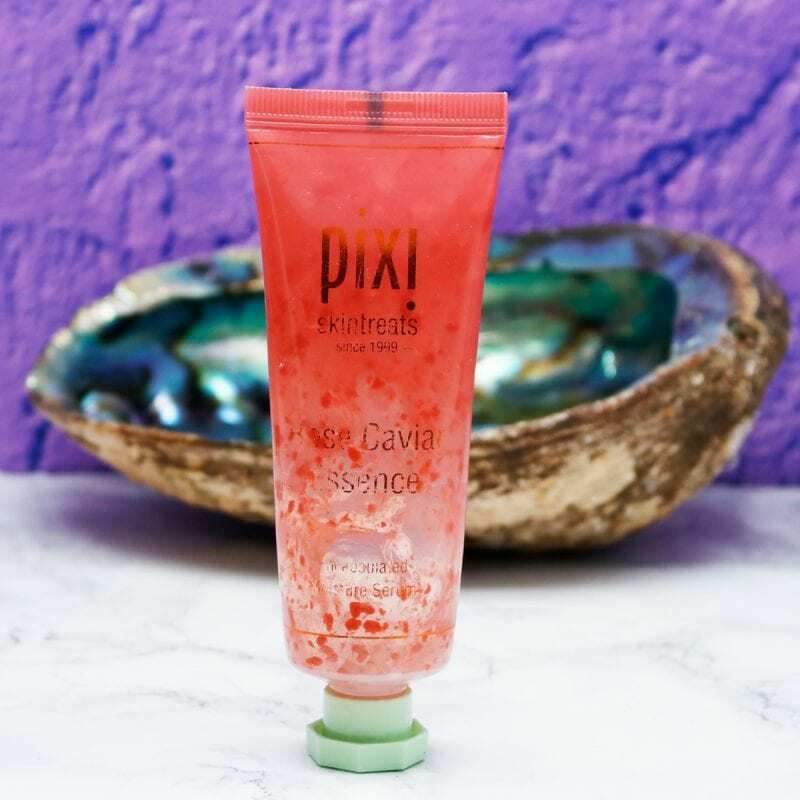 I’d love to try Pixi skin care, one of these days. So many great suggestions! Thank you. I’ve been looking for some new skincare items and I love that so many of these are easily things I can run out and grab and not break the bank! I’ve been oddly oily lately but I know as soon as the cold weather sets in I will be normal/dry. So many amazing things to try! I love my FOREO Luna and REN never disappoints me! I need to try that Kate Sommerville SPF 50 (I love Exfolikate and have been using it for many years!). I have been wanting to try a few things from Kopari and this moisturizer and their coconut deodorant are on my list! I love this post!